In wet conditions, it's important that your gloves can offer the control you need without compromising on protection. The MCR Safety CT1014SL Kevlar Latex Palm Coated Gloves offer great grip in wet and dry conditions, ensuring control and improving safety. Made from tough Kevlar with additional steel, the gloves offer a seriously high level of cut resistance and durability. The MCR Safety CT1014SL Kevlar gloves feature a latex coating over the fingers and palms. 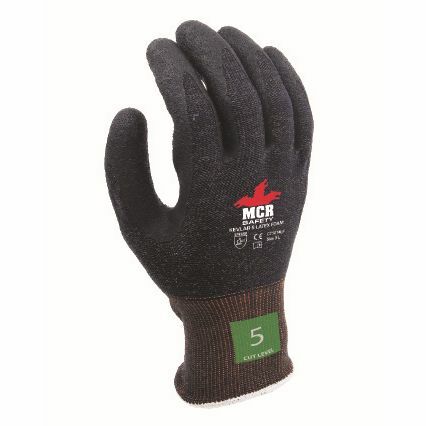 This provides the gloves with an exceptional level of grip in both wet and dry conditions, helping you ensure that tools and equipment won't be dropped.